Thanks to the generous Maeve Binchy UCD Travel Award, I took the maps out in 2014. The award, inaugurated in 2014 to commemorate UCD graduate and world-renowned author Maeve Binchy, was open to students in the School of English, Film and Drama. It was created to fund a travel opportunity that would enhance creative writing. 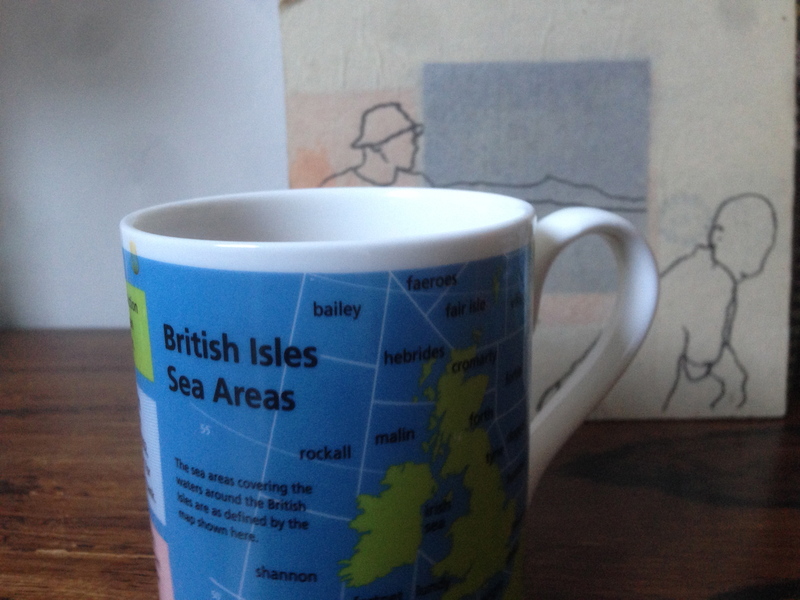 I explored the sea areas of the Shipping Forecast in a project called The General Synopsis at Midnight. The photo above is the Cutty Sark in Greenwich. Broadcast four times a day on BBC Radio 4 – and with a record listenership of 11 million – during the day the Shipping Forecast for most of us landlubbers is a brief respite from work, and at night, a lullaby. It is a series of weather reports and forecasts for the seas around the British Isles and Ireland. The thirty-one areas are named in a roughly clockwise direction beginning near the coast of Norway with Viking, North Utsire and South Utsire. It moves down towards Plymouth, around to Fastnet, the Irish Sea and Shannon, and extends as far as the coast of Spain (Biscay) and the controversially-named Fitzroy, until it ends in what must be some very chilly waters off southeast Iceland. My travels began on land at the UK Met Office in Exeter. If you’d sooner hear about the project than read about it, you can listen me talking about it on the Marian Finucane RTE 1 radio show on May 31st here and on September 20th here. My exploration was covered in various blog posts between July 2014 and November 2014.